Live SEMA Webcams and Comprehensive Coverage! 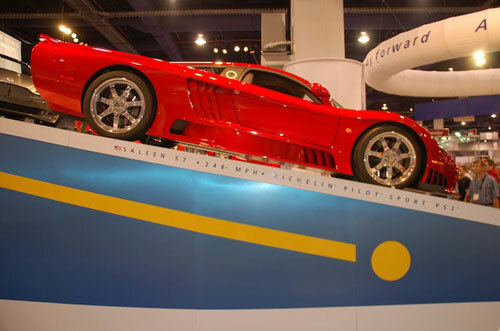 Happy Halloween, and welcome to our coverage of the 2006 SEMA show here in Las Vegas, NV! 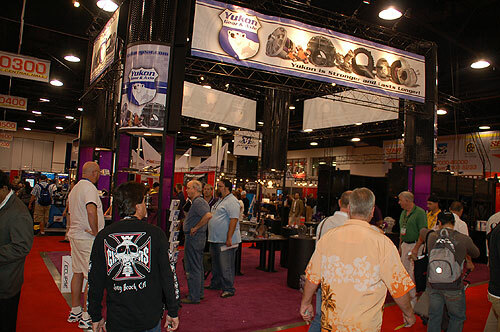 We are bringing you coverage live, right out of the heart of the SEMA show at the Yukon Gear & Axle booth. The working conditions here are very difficult, but being the devoted journalists that we are, we will suffer through it to bring you the information our readers deserve. Erica posing with her highly desirable Signature Series Air Fresheners. Mmmmm, coconut! We have a new and improved webcam to bring you all the live action. It gave me all kinds of problems setting it up today, but it is now up and running. Since I spent most of my time trying to get the webcam working, I haven't had much time to get out and about. Tomorrow I will hit the carpet hard, and will post plenty of pictures of the latest bling, offroad stuff, and of course the girls of SEMA. So stay tuned, and be patient. I promise it will be worth the wait! I just got done uploading a ton of pictures to the Photo Gallery. 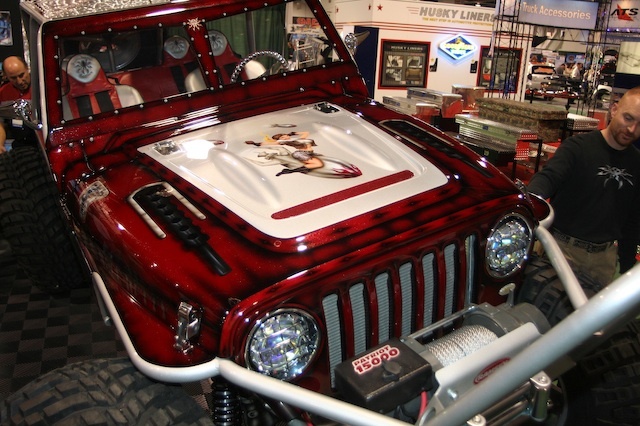 Be sure to check out the Girls of SEMA gallery, as well. 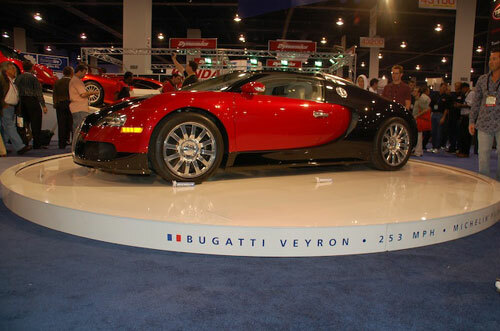 The SEMA show is in full swing today, and it feels great to sit at the computer for a while - my feet are killing me! 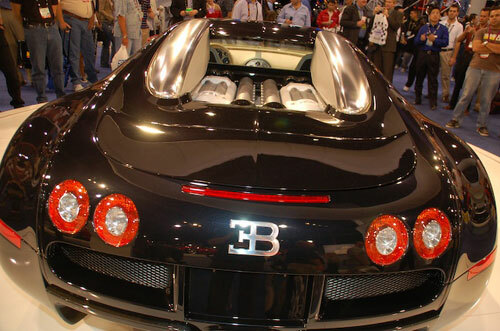 This year's SEMA show is so huge, that it's going to be impossible to cover the entire thing by myself. Today I crusied through about 1/4 of the show - if that. Since I haven't seen the entire show yet, it is a little early to make it official, but I believe I have found my show favorite. 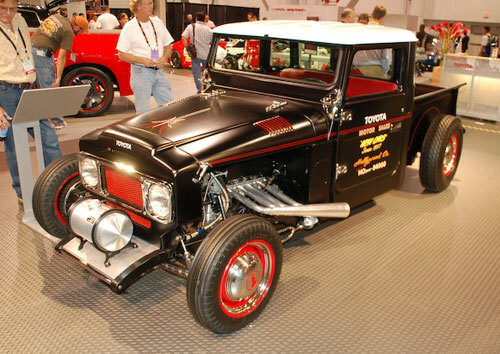 My show favorite - a Toyota Land Cruiser FJ45 Hot Rod. I haven't really come across anything totally spectacular, as far as new off road technology yet. Of course there is the usual super bling Chrysler 300Ms on 24s, H2s, Bentleys, etc. I think the coolest booth so far would have to go to Michelin. There were no Bentleys, or Lamborginis in Michenlin's booth. Ohhhhh no, there was much more. How about the a collection of the world's baddest sports cars on the planet? 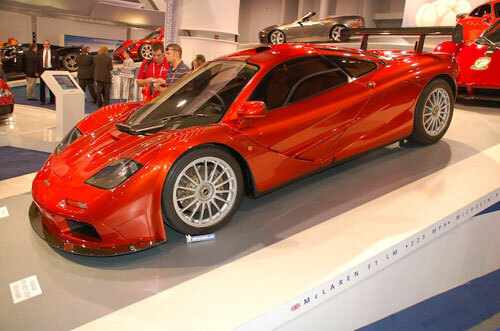 Can you say Mc Laren F1, Bugatti Veyron, Porche RUF turbo, Saleen S7? Oh yeah, we're talking a collection of 200+ MPH street legal race cars. I don't know how Michelin did it, but this was the coolest booth I've seen. Ever. Saleen S7 - 248 MPH of pure Get 'er Done. Did I mention we are shooting girls for your viewing pleasure? Of course our host Yukon Gear & Axle still has three of the best. Erica, Tara, and Diane rock. Poison Spyder Customs debuted their new Bruiser. This rig is a work of art, and should perform as well as it looks. Poison Spyder Customs new Bruiser.